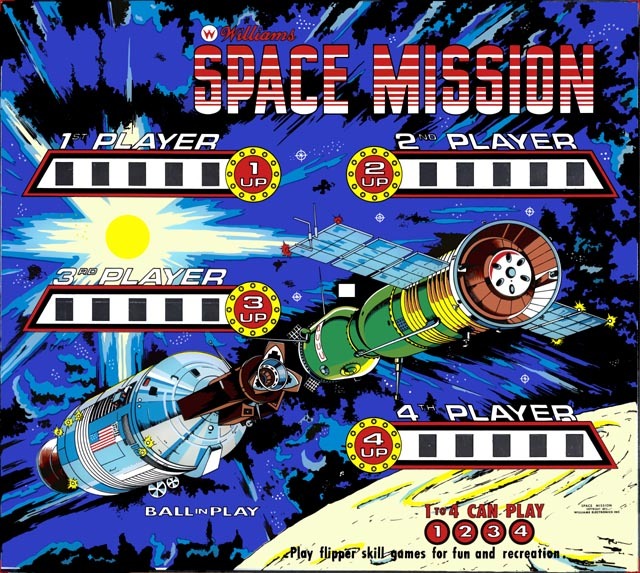 At the time in 1975 when this game was released, they sold more 1975 Williams Space Mission pinballs than any other flipper pinball. 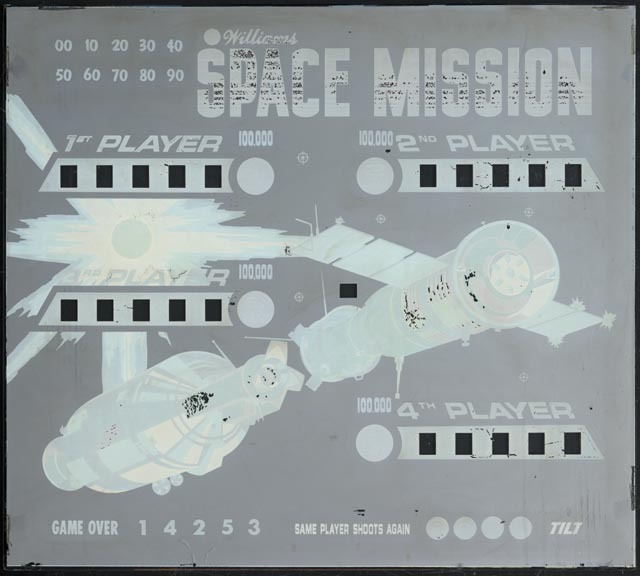 So there’s a large amount of these games out there, and it was only a matter of time before someone needed their backglass restored. Though this example was in pretty good condition, the owner wanted something better. So we took on the job, and the results are shown below.